Visitors to the Peabody staff conference on Wednesday were greeted by red Unite flags as CBHA tenants and branch members handed out leaflets. One leaflet outlined tenant concerns while another outlined Unite members' frustration over pay. Staff echoed the pay concerns in the conference. Management expressed their ‘regret’ that the leaflet had been handed out but did offer further talks on pay. On Thursday two articles in The Guardian highlighted low pay in the sector and the high pay of housing association bosses. See here and here. Today The Guardian has two more articles. Columnist Hannah Fearn argues that “Housing chiefs who criticise cuts should slash their own salaries first”. In another article Stephanie Metcalf, head of HR at Yarlington Housing Association challenges associations to become accredited living wage employers. Her article headed: Forget the 'race to the bottom': we pay all our staff the living wage says: “Becoming a living wage employer was not only an ethical decision but a commercial one, not just supporting our own goals, but also creating a momentum in the wider community – as a living wage employer, we endeavour to ensure our suppliers and partners also pay the living wage.” Today’s Guardian articles can be found here and here. They reflect the fact that the position of associations that ignore internal pay inequalities and chase each other in a race to the bottom is increasingly untenable. Unite is calling on housing providers to talk to us about agreed sector standards. 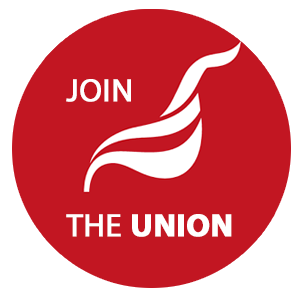 In Scotland there is a national agreement between housing providers and Unite. Employers express the view that they are forced to engage in a competitive race to the bottom even though they recognise the damaging impact this has on service quality and the hardship for their staff; nationally agreed standards would be a way for responsible providers to push back. 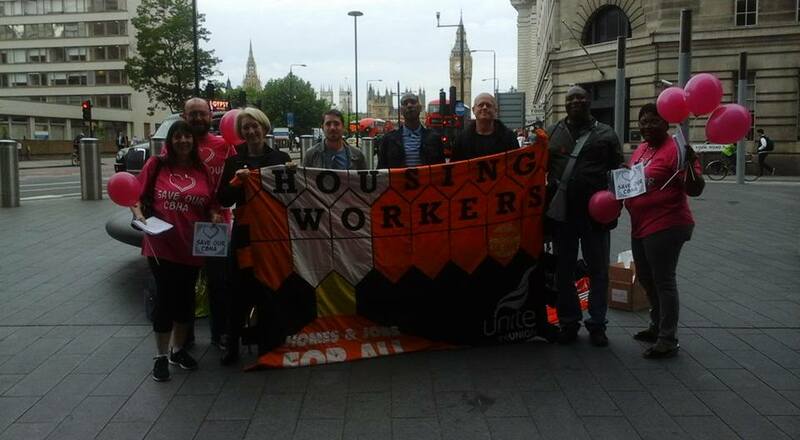 Unite is keen to talk to employers about pay; as the reception outside Peabody’s conference showed, there is rising discontent with pay among housing workers. In 2013/14 the Peabody CEO Steve Howlett took the seventh highest increase for an HA boss in the country: 9.98% and the fifth biggest bonus at £26,162. His total salary was £212,224. According to Peabody accounts his total annual remuneration went up by 11% to £233,000. Members of his staff who struggle to pay their rent or mortgage want to see a serious pay offer.